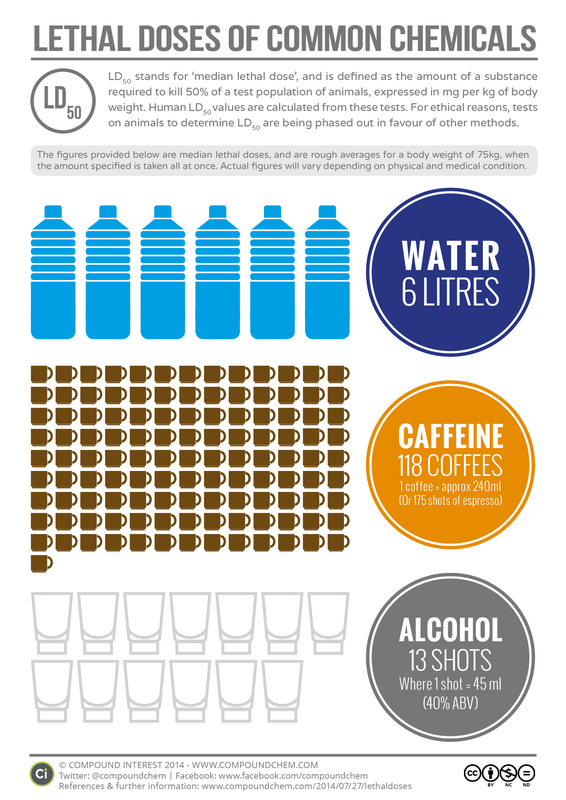 This week's topic is about lethal doses and LD50. The second portion is about the difference in toxicity of natural vs. manmade chemicals. 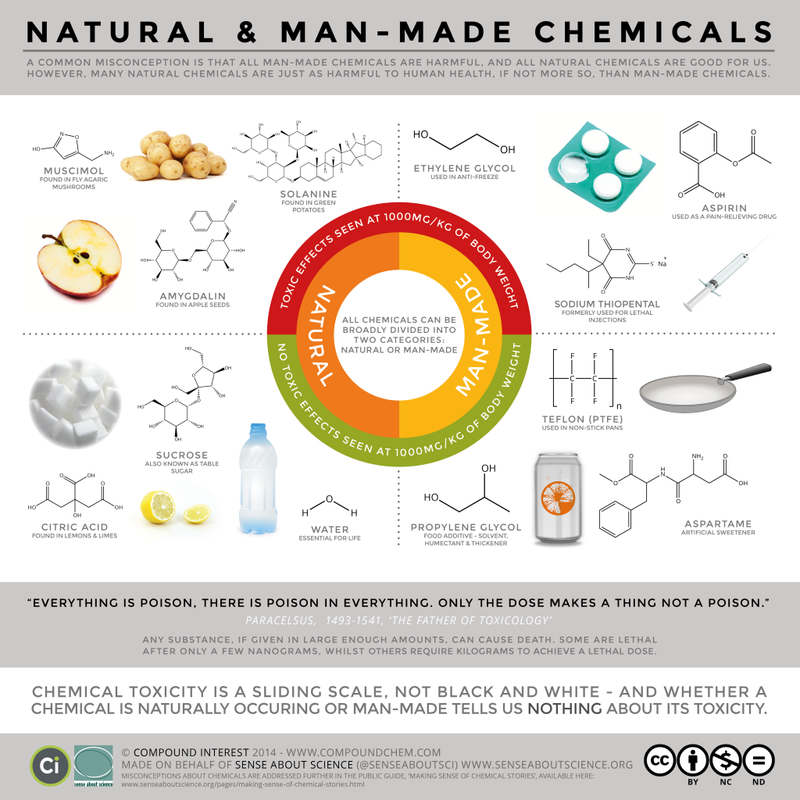 Most people wrongly assume that if a chemical is natural that is good and that if a chemical is manmade then it is bad. Both can be good and both can be bad! 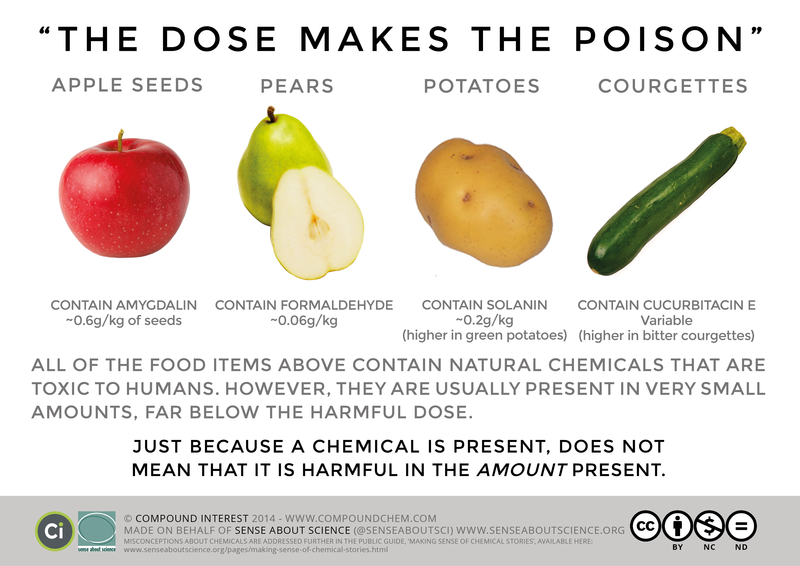 Compound Interest's original post about Lethal Doses of Common Chemicals can be found here. Compound Interest's original post about Natural vs. ManMade Chemicals can be found here.